The cards retail at £1.99 each, so buy 3 and save .97p! 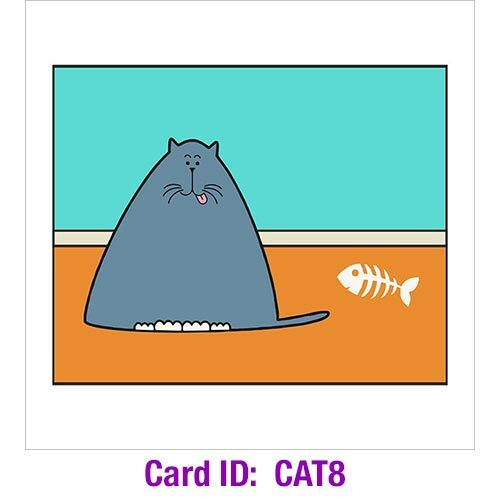 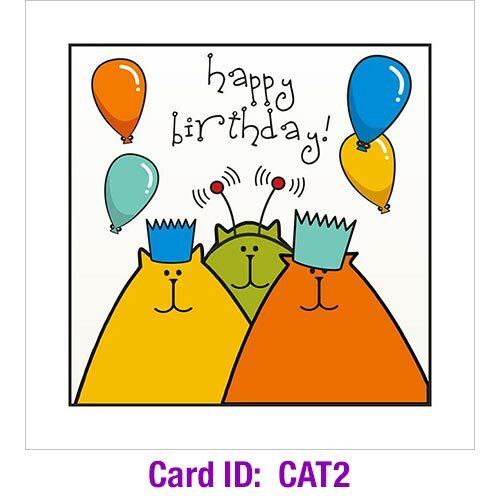 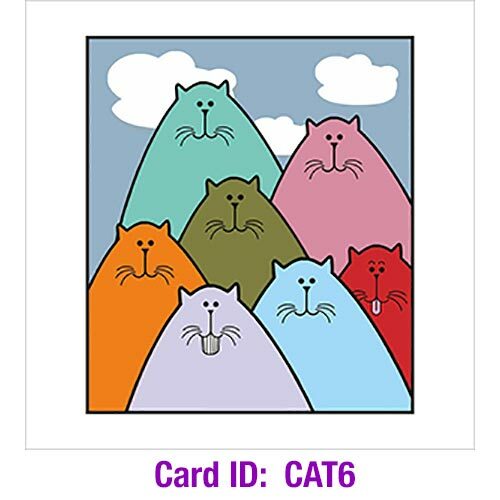 HOW to CHOOSE: View the images to decide which cards you would like, and make a note of their ID number ('Cat1', 'Cat2' etc), (ID numbers are on the images) Then tick the appropriate boxes (see "available options") when ordering. 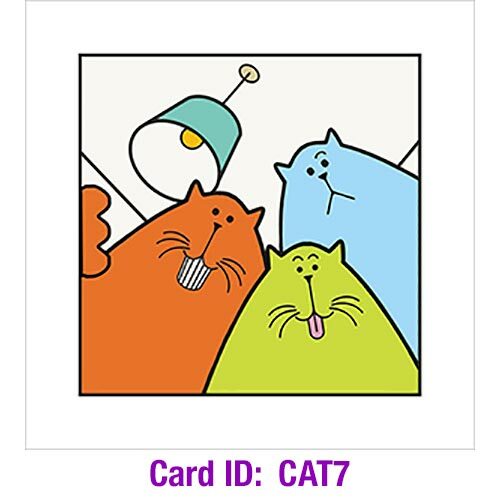 If you would like more than one of the same design, or are ordering more than one set of 3 cards, just put a note in the "comments" box on your order to let us know which cards you require, thank you! 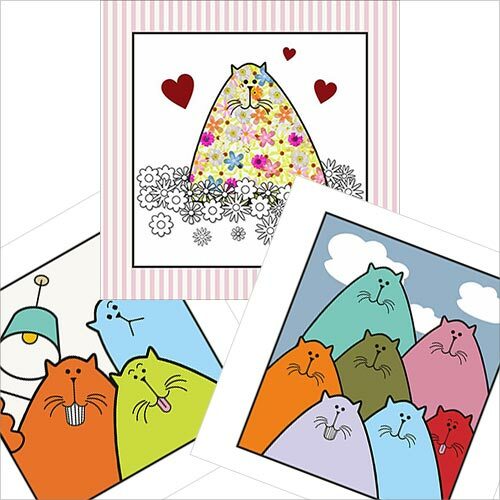 Quality cat themed greetings cards - blank inside for your own message. 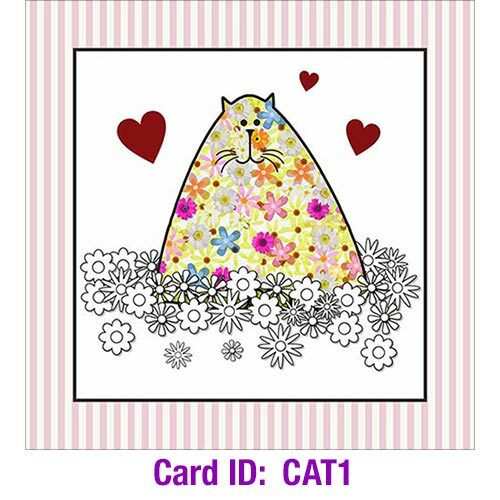 Each card measures 15cm x 15cm (6 x 6 inches), and comes with a white envelope. 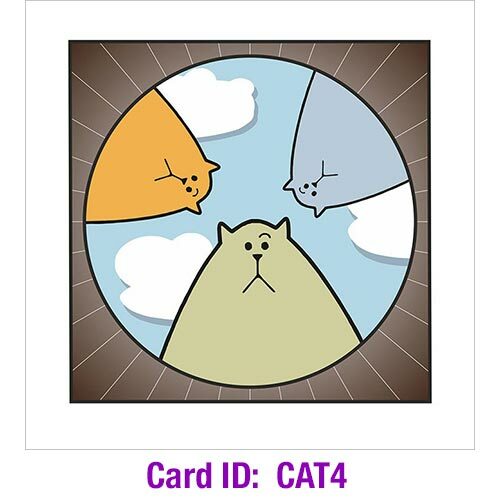 Every Purchase helps Cats out of Shelters... into Homes!